The Committee discussed the negotiating mandates on the Plant Improvement Bill [B8B-2015] and the Plant Breeders Bill [B11B-2015]. The Department of Agriculture, Forestry and Fisheries (DAFF) as well as legal representatives from the State Law Advisors office and the Parliamentary office attended as well. Although the Committee received formal communication from the NC legislature that the province supported the Bills without amendments, the provincial delegate in the Committee insisted that there was no mandate from the province to support the Bills. The Department of Agriculture, Forestry and Fisheries advised that it would study the proposals and provide the Committee with a written response in due course. The Parliamentary Legal Advisor said she would brief the Committee at the next meeting - on legal, legislative and constitutional aspects related to the Bills that would be beneficial in helping them compile their report. The Chairperson welcomed everyone including the representatives from the government entities assisting the Committee on the two Bills. A special delegate from the Eastern Cape Legislature indicated that the province rejected the Bill and cited numerous aspects that they were not in agreement with. Mr A Nyambi (ANC; Mpumalanga) interrupted the delegate and explained that in respect to mandates, the norm is to give a summary, i.e. approval, reject, with some leading comments relating to the provincial mandate. There was no need to provide the detail contained in the mandate. The Chairperson concurred and said that the provincial mandates had to be at a high level with only relevant aspects relating to the mandate briefed to the Committee. The detail on specific issues raised by provinces would be discussed later, once the Committee had a chance to engage the Department of Agriculture, Forestry and Fisheries (DAFF) and parliamentary legal resources. He asked the permanent Eastern Cape Committee delegate, to brief the Committee on the EC mandate. Ms Z Ncitha (Eastern Cape, ANC) said that the province had rejected the Bill as there were too many concerns with the Bill. Noting that the Committee member representing the Free State was not present, the Chairperson asked the Committee Secretary to read the mandate from that province that was sent to the Committee. Mr Asgar Bawa, Committee Secretary, advised that the Free State had supported the Bill subject to certain amendments being effected - some of these were related measures to ensure the exclusion of small scale farmer activities from the definition of “sell”, allowing the private use of seeds and to allow the exchange or trading of seeds. At this stage various members interjected with some concerns over the process and how the amendments would be incorporated. Mr J Julius (DA; Gauteng) wanted to know where the amendments were, as he had no sight of these. The Chairperson asked the Free State Legal Advisor, who was present in the general audience, to comment on the provincial mandate (Mr J Parkies, the Free State Committee member, was absent at the time). She confirmed that the Free State supported both Bills (B8B and B11B), subject to the amendments listed in the mandates being incorporated. Ms Phumelele Ngema, Parliamentary Legal Advisor, commented that the Committee could review the clause defining what a “business” is and that perhaps it could be improved to address the concerns raised. She also cautioned members that the payment of business registration fees is constitutionally correct and could not be waived. Dr Julian Jaftha, Acting DDG: Agricultural Production, DAFF, said that the Department would respond to the concerns raised, but it had to be very cautious as it had not seen all the responses. On the definition of “business”, he cautioned that one could not just omit certain parts of the definition as it would detract from the overall intention of the definition. He asked his colleague to provide further comments. Mr Thabo Ramashala, Director: Plant Production, DAFF, said the current Bill was the result of various engagements with many stakeholders. DAFF would go back and review some of the aspects raised to ascertain if it could address the concerns raised by the Free State. Ms Ncitha agreed with the DAFF approach and suggested the Committee proceed further with the provincial mandates. Mr Bawa resumed the briefing on the Free State mandate, saying that the Committee had to review all mandates, like it was doing now for the Free State and then list all the amendments proposed, to ensure all comments received are captured and actioned. Mr Bawa responded that the EC’s mandate was an outright rejection of the Bill, while the Free State supported the Bill subject to certain amendments being incorporated. The Committee would have to consult DAFF on the amendments. He suggested that the Committee should review all the mandates before a decision on how to proceed. Mr Julius said he agreed with Mr Nyambi’s proposal and that DAFF had to be afforded an opportunity to respond to the suggested changes. He cited Gauteng’s mandate which supported the Bills subject to some amendments. If the amendments were not incorporated, Gauteng would not support the Bill(s). 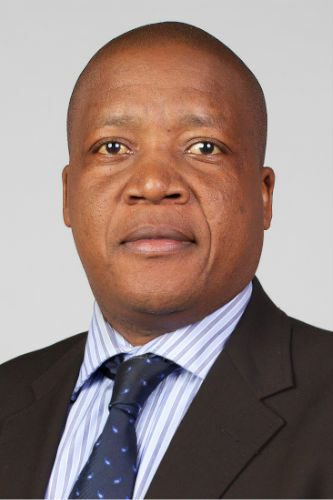 He wanted to know why DAFF did not get copies of the provincial mandates prior to the meeting as it would have been able to respond more effectively to the mandate proposals. The current process was wasting time and resources, as DAFF would need to brief the Committee at another time instead of right now. The Chairperson responded that provincial mandates had to reviewed at Committee level first, before it could be accessed by others. Mr A Singh (ANC; KZN) wanted to know what happened if there were common points raised by the provinces. The Chairperson responded that there were no ambiguity and the Committee was following parliamentary procedure. Mr Nyambi suggested that the Committee proceeded with the reading of all the mandates received. Mr Julius wanted to know if was necessary to read all the mandates now as the Department was not ready to respond on the proposals. He asked for legal clarity on the process and if there was a rule that indicated the mandates had to done now - must the Committee read all mandates now and convene again when DAFF could respond, or could they wait until DAFF had a chance to interrogate the proposals and then provide the Committee with a response. Mr Nyambi suggested that the Committee carry on reading the mandates while it had DAFF and a legal team that can provide some input instead of starting at another time with the issue afresh. The Chairperson advised all that this is a legally constituted meeting to discuss provincial mandates and proposed that the Committee hear what other provinces had to say. The Chairperson asked the other provinces to present their mandates. Mr Julius said he did not negotiate the provincial mandate, but the province supported the Bill subject to the inclusion of some amendments. If these were not incorporated, the province would not support the Bill. The province wanted the definition of “sell” to be amended. In addition, the province required, definitions for the terms "agricultural, forestry and industry” to improve the overall understanding of the Bill. The province had a serious concern that seed exchanges were criminalised under the Bill and a had a general concern that the Bill seemed to cater for large multi-nationals at the expense of small farmer managed seed systems. Mr Singh informed the Committee that KZN supported the Bill subject to amendments - e.g. they required clarity on the definition of commercial vs. no-commercial entities and a concern was also raised about the lack of protection for small scale farmers in the Bill. Mr Smit said that Limpopo supported the Bill subject to amendments that included stronger protection for small community farmers and traditional crop farmers. There was also a concern that the enforcement of penalties were not quantified in monetary terms (fines). Mr Nyambi said Mpumalanga supported the Bill subject to two amendments - the Bill had to allow the exchange or trade of seeds and the establishment of regional registration offices. The Chairperson said that the North West supported the Bill with no amendments. Ms E Prins (ANC; Western Cape) said that the province did not support the Bill as it did not support small scale, part-time or informal farming activities. An alternative was to have a separate legislation for the latter. The province also had concerns about some definitions and seed management practices. 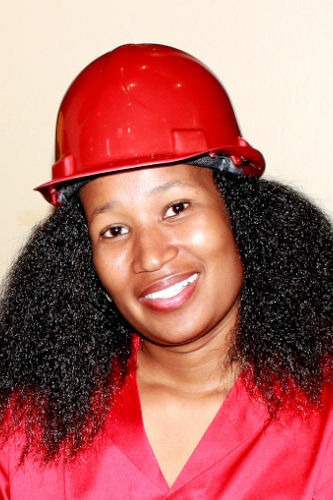 According to the Northern Cape (NC) delegate, Ms T Koni (EFF), there was no mandate from the province. Dr Jaftha said that DAFF appreciated all the comments received and would respond to the Committee in due course. He asked the Committee to guide the Department in their response on non specific issues where the scope was often wide and not clear. In addition he wanted confirmation that where the Bills were rejected in its entirety there was no need for DAFF to respond. Ms Ngema asked if she could brief the Committee on some legal, constitutional and legislative aspects relating the Bills, at the next meeting. The Chairperson agreed to the request and thanked DAFF and the legal units present for their input. DAFF and the State and Parliamentary Legal Advisors left the meeting. The minutes were approved without amendments.